…we continue to see evidence, not only of the effects of changing climate patterns on the livelihood of millions of Nigerians, but its indication as being the primary cause of rising sea levels that increase the likelihood of floods. It’s clear, therefore, that we have a problem we are not taking seriously enough. 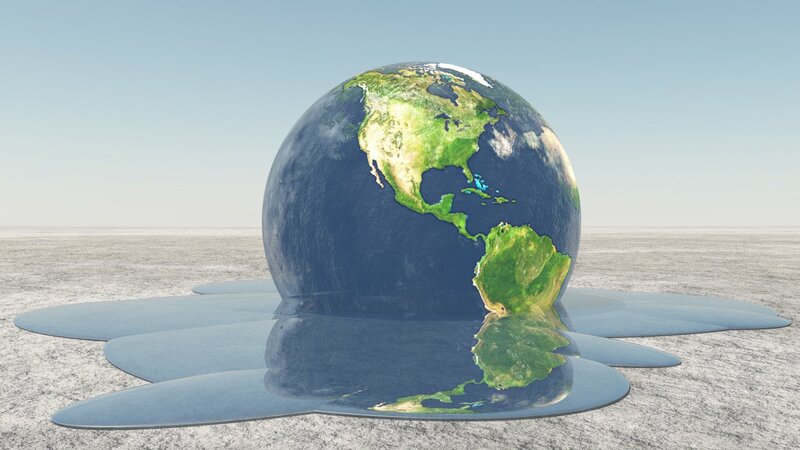 At the heart of much of the debate over climate change, today, is the conclusion by a large part of the scientific community that the world’s climate is in an anthropogenic state — that the biggest environmental changes in the world are directly linked to human impact. It’s not a case of the world changing as it did with the dinosaurs. It is about us. We’re the ones changing the climate. Rising ocean levels, deforestation, black carbon and reef destruction, are all being caused by our actions and activities. Individually we might not deliberately mean harm to the environment. But collectively as a specie, we are changing the face of the earth as we know it. Millions of kids left school a recent Friday ago, to walk in streets across the world, demanding that our leaders do better about our rapidly deteriorating environment, and they should. They should be held accountable and should be needled to make a difference, because we cannot continue to allow for short-term profit to be put above the quality of life of the world’s population. A 2013 report by the UN Environment Programme reports on how important it is to reduce carbon emission by 2020 in order to protect the environment. One would think the urgency in the report would would have made the difference to the actions of our policy-makers. But, major oil companies have made it clear that they intend to increase their production of hydrocarbons well into 2024. The question is: At what cost? Talking about the environment is tricky. When you stand on the side of “mother nature”, everyone expects you to be perfect. If I say, rising levels of fossil fuels are heating up the planet and causing ice caps to melt, I get attacked. But, it’s the truth. The next thing people ask is: “Don’t you drive?” “Don’t you have a generator at home?” Yes, yes, I do. However, our options in that part of the world are limited. My country refuses or seems incapable of producing steady electricity and I cannot afford an electric car. I can’t walk to half of the places I want to go to. And guess what? The urban planning part of my government can’t even put together enough pedestrian walkways let alone dedicated bicycle paths, if I were to try to do this. So, the amount of gasoline I use isn’t something I can easily find alternatives to. As tens of thousands of children left school last week, walking on various streets around the world demanding that their leaders act to help combat climate change, I couldn’t help but reflect on my continent and my country, especially. Rwanda has banned the use of non-biodegradable plastic bags. Kenya is embarking on planting more trees. However, there are other changes I can make. For example, I have cut-down the amount of single-use plastics I use (disposable spoons, cups, straws, plates and polythene bags) in the past year-and-a-half. I avoid collecting polythene bags if I can. Since the fashion industry is a huge contributor to pollution, I’m working on becoming more deliberate with regards to the material and the production processes of the things I buy. Granted, sustainable clothing costs a lot more and I can’t afford many of these. If, per chance, I want a fast fashion piece, I’ll consider a thrift store first. I’d be lying if I say I do this all the time, but I do put in an effort and that’s the difference. Jack Harries, one of the first environmentalists I came across, puts this dilemma pithily: “if you have to be a perfect environmentalist to have a conversation about the environment and climate change, we’ll never be able to have that conversation”. We’re all complacent and have a part to play in reversing our earth-hurting ways of life. As tens of thousands of children left school last week, walking on various streets around the world demanding that their leaders act to help combat climate change, I couldn’t help but reflect on my continent and my country, especially. Rwanda has banned the use of non-biodegradable plastic bags. Kenya is embarking on planting more trees. And in accordance with the 2007 Great Green Wall for the Sahara and the Sahel Initiative by the African Union to fight encroaching dessertification, Senegal and Niger have made great strides in tackling climate change. Although critics of the latter initiative have argued that a desert is a healthy, natural ecosystem and shouldn’t be treated like it’s a disease, effort is being made in slowing down its incursion. Effort that Nigeria doesn’t seem to be making enough of. As of 2018, Dr. Bukar Hassan replaced Goni Ahmed as head of Nigeria’s National Agency for the Great Green Wall and he has his work cut out for him. But how much of the impact should we expect from this work, in relation to strides being made in environments less resourced that our own? A recent study from the United Nations Environment Programme states that environmental degradation has cost Africa US$68 billion annually, and that’s a lot. Nigeria has reportedly reclaimed five million hectares of land and this might seem like a lot, but in comparison to the remaining untouched land, thats actually like a drop of water in a vast ocean complex. With reports of underfunding being a problem for the slow pace of Nigeria’s efforts across multiple media platforms, it makes one wonder where our priorities lie. In a 2018 Shehu Musa Yar’Adua Foundation documentary titled “Nowhere to Run: Nigeria’s Climate Environmental Crisis”, it is clear how the changing environment is affecting and reshaping our society. From droughts and desertification in the North, to erosion due to the indiscriminate felling of trees in the South-East and mangrove destruction due to oil spillages in the Niger Delta, we continue to see evidence, not only of the effects of changing climate patterns on the livelihood of millions of Nigerians, but its indication as being the primary cause of rising sea levels that increase the likelihood of floods. It’s clear, therefore, that we have a problem we are not taking seriously enough. And the Federal Ministry of Environment still has a long way to go from its tepid responses to the imminent disasters all around us. Ehireme Alexis Uddin is an Economics graduate with a penchant for writing.